SAN FERNANDO, Cebu (Dec. 7, 2015) — Taiheiyo Cement Philippines, Inc. (TCPI) will inaugurate on Thursday, Dec. 10, its eight finish mill, an investment of P663 million that will increase the production capacity of the cement plant here by 70 percent. 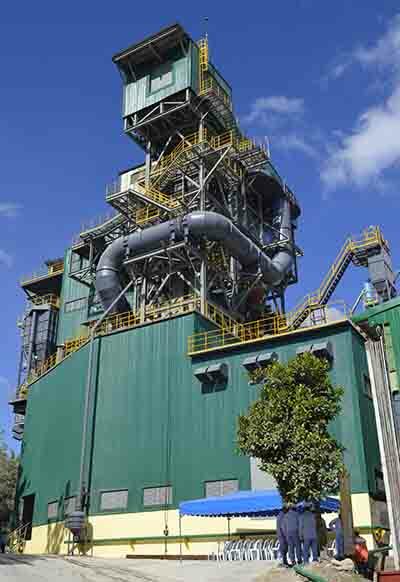 The 8th and latest finish mill at the TCPI plant. 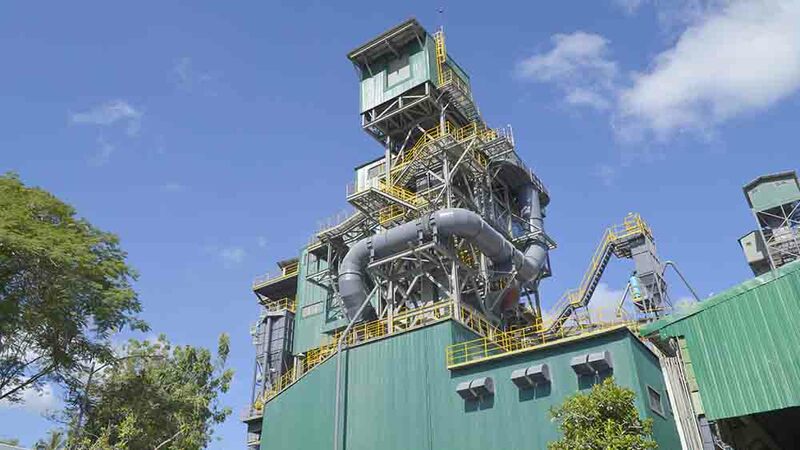 TCPI invested on the new 8K cement mill system to meet the growing demand for cement in Cebu and neighboring islands in central Philippines, bared Takashi Miyashita, TCPI senior vice president for human resources, administration and marketing. Demand for cement rose significantly over the past five years, fueled by a massive growth in real estate developments, both horizontal as subdivisions and malls, and vertical, as condominiums and hotels. Public works also increased, especially in the widening and concreting of roads as well as construction of public utilities throughout the Visayas area, noted Sarah Y. Alvarez, head of TCPI Marketing Division. The company broke grounds for the project in November last year and started to commission the facility six weeks ago, according to Rolando G. Buhisan, head of TCPI Engineering Division. “We should be in full blast in time for the inauguration,” he declared today. TCC affiliate and Japan-based Taiheiyo Engineering Corporation (TEC) designed and supplied the parts for the new rolling mill in collaboration with accredited local contractors. The 8K cement finish mill adopts the tube type technology that uses a slide-shoe support system. The cylinder is 16-meters long and 4.4 meters in diameter, and uses steel balls that ranges from 20-mm to 90-mm in diameter, Buhisan disclosed. The facility is also run by a 2,250-kilowatt twin-drive mill motor, he added. “The new mill has a capacity of 128 tons per hour, roughly one million tons of cement a year,” he said, noting that TCPI used to produce an average of 125,000 tons per month, or just an average of 3.1 million bags of cement in a month. Cement clinker is mixed with additives in the finish mill to produce specific cement types needed for construction, as Portland, Pozzolan, Premium and Masonry cement, he explained. Meanwhile, Alvarez said TCPI dealers are pleased that the new mill is operational as they could now provide their retailers with enough supply of Grand-branded cement products, preferred by many consumers for their superior Japanese quality. “We are glad that we can now flood the market again with Taiheiyo’s Grand cement products,” she quipped. Cebu Gov. Hilario Davide III, Vice Gov. Agnes Magpale and San Fernando Mayor Antonio Canoy will lead the guests who the company invited to witness the inauguration that TCPI president and CEO Satoshi Asami will personally officiate. Shuji Fukuda, president of the mother company Taiheiyo Cement Corporation (TCC), will come from Japan to grace the occasion with Masao Osumi who heads TCC’s International Business Division. Also coming are TCPI board chairman Ken Kikuchi and board member Masahiro Kurose, along with TEC president Haruo Tsuyuki and managing director Hiromi Fujimori. The 8K Finish Mill. The new facility of Taiheiyo Cement Philippines, Inc. is now operational, allowing the cement plant in San Fernando, Cebu to produce one million tons more of cement, or 70 percent more of its current production capacity. This entry was posted on December 7, 2015 by Cerwin in Taiheiyo Cement and tagged 8K, cement, clinker, cylinder, finish mill, Grand Masonry, Grand Portland, Grand Pozzolan, Grand Premium, grinding system, inauguration, investment, Japan, production capacity, rolling mill, San Fernando, slide-shoe support system, superior Japanese quality, Taiheiyo, TCPI, tube-type technology, twin-drive.